Surely this tightening of monetary policy in mid-2008 made the financial system more vulnerable to shocks later in the year. Moreover, it is possible the shocks themselves may have been smaller had monetary policy been looser. 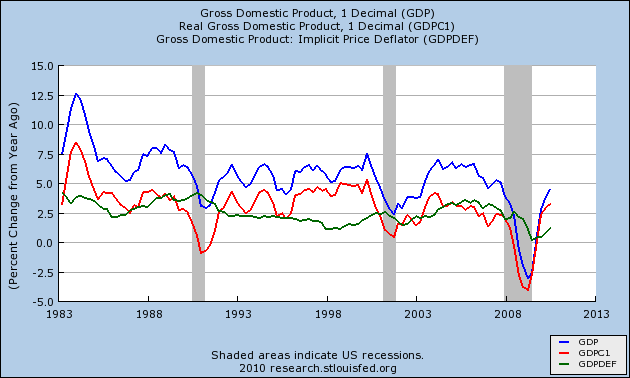 There probably would have been a recession no matter what, but it would have been far milder had the Fed been explicitly stabilizing NGDP. Third, the experience of unconventional monetary policy starting in mid-1933 suggests that Fed could have done something to avert the collapse on nominal spending in late 2008-early 2009. The U.S. economy had been collapsing for close to three years when FDR began his own unconventional monetary policy in 1933. As shown by Gautti Eggerton and others, FDR's policies radically changed expectations at a time when deflationary expectations seem set. 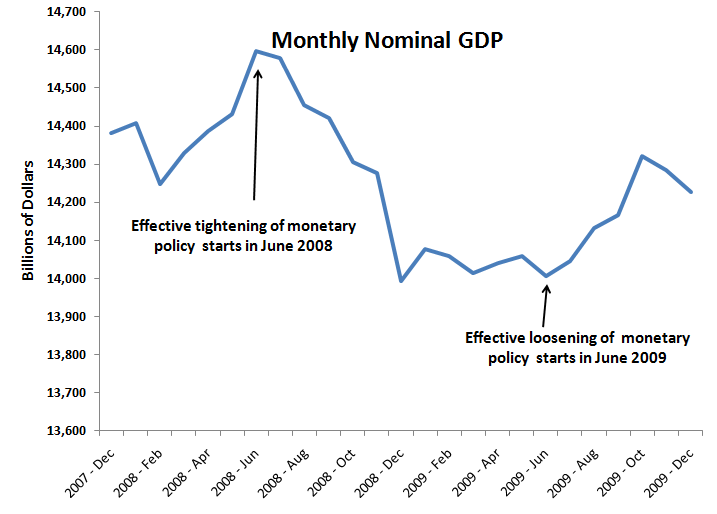 Adopting a NGDP target in late 2008 or early 2009 may have been the radical equivalent of FDR's money policies in the 1930s. Had the Fed adopted a NGDP target and marketed it with a massive PR campaign it seems plausible that nominal spending expectations could have been stabilized a lot sooner. Why would it have been any more challenging to make a NGDP level target work in late 2008-early 2009 than for FDR to make unconventional monetary policy work in 1933? The way I see it, the question is not whether a NGDP level target could have worked. The real question is why the Fed did not try something more radical like a NGDP or price level target. For more on Tyler Cowen's question see Scott Sumner and Ryan Avent. There is a scramble to liquidity; the Fed announces that it will create however much liquidity (i.e. money) is necessary to keep nominal income on target. How is that not very focal to the panic? Why would it not be heeded? In any case, since liquidity demand rose, in part, because nominal spending started falling, then preventing nominal spending falling in the first place would have lessened the rise in liquidity demand, I think. Lee, I am with you on this one. As I mentioned above, Tyler should be asking why the Fed did not do something radical like NGDP targeting, rather than asking if NGDP targeting would work. Wouldn't nominal consumption targeting work even better than nominal GDP targeting? With nominal GDP targeting, one runs the risk of raising interest rates too much too soon just when investment spending picks up during a recovery. 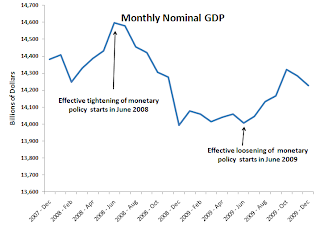 Nominal GDP targeting is still better than inflation targeting and much better than money supply targeting. Do We Really Have A Balance Sheet Recession? Is the UK Secretly Targeting NGDP? 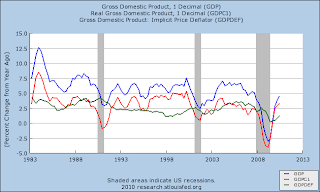 Does QE2 Promote Global Economic Rebalancing? A Crack in the Dollar's Reserve Currency Status? Time to Read "Less Than Zero"